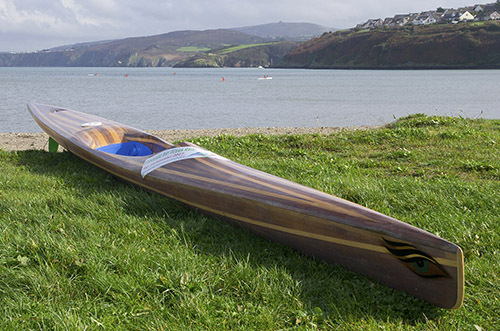 Fishguard Bay Ocean race is a major downwind Surfski, SUP and OC downwind race along Pembrokeshire’s wild and beautiful north coast – from Goodwick Parrog near Fishguard across 17 km of big Atlantic rollers to the broad and welcoming beach at Newport Sands. Foundation – Improver – Intermediate. In depth one and two day courses for all levels with FBOR’18 Masters winner Ben Edom, widely experienced in Australia and GB. Contact the FBOR Race team to ask any questions that our webpages, Facebook and Eventbrite info don’t cover – for Paddlers, Organisers, Supporters and Watchers! 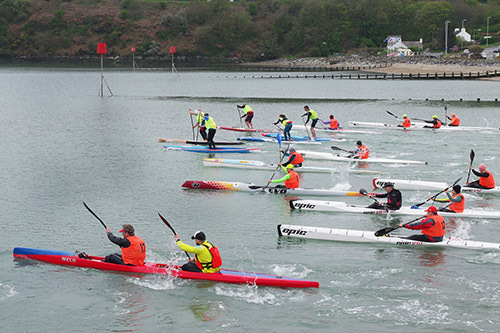 The Fishguard Bay Ocean race is a major downwind Ocean Ski, SUP and OC race along Pembrokeshire’s wild, award winning north coast – starting at Goodwick beach and crossing 17km of open sea to finish on the wide sandy beach at Newport. This rocky coastline hosts the spectacular Pembrokeshire Coastal Footpath that readers of National Geographic have voted as the second most awesome in the world! In this race, elite paddlers from the UK and beyond will be vying to show their extreme fitness, boat-handling and seamanship skills, to win this “black-belt,” no-holds-barred ocean race. 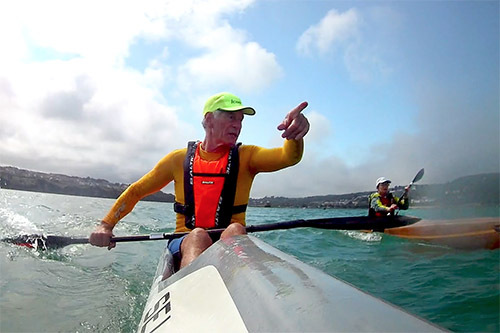 The Fishguard Bay Ocean Race is a co-conspiracy between Benjamin Edom (one-time UK C1 national champion, 10 years paddling surfski in Australia; salt water adventurer, photographer, web designer and project manager), Jeff Rogers (with a lifetime experience of open water swimming and Surf Lifesaving including years of teaching), and Martin Barlow , SUP competitor and instructor. We want wind and we want waves, so the event is planned to ride the equinoctial winds that sweep along the N Pembs coast – hence May – we also needs the tide in the right direction, particularly around Dinas Head – hence the date. Classes – all with trophies! 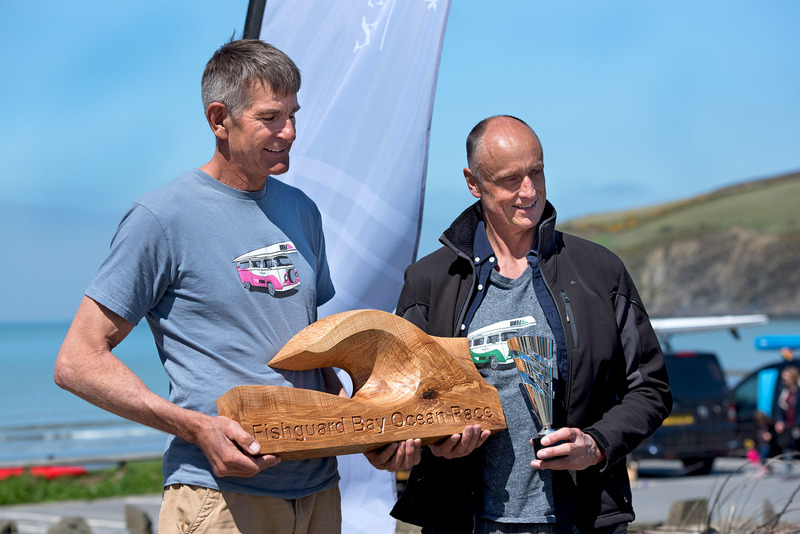 The Fishguard Bay Ocean Race Trophy is the Line Honours prize for the first craft OF ANY CLASS to cross the line.